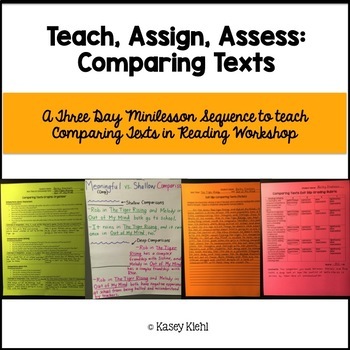 This three-day minilesson series will guide you through teaching students how to contrast texts based on the umbrella minilesson, "Readers identify similarities among texts so that they can explain how characters, setting, and plot elements compare from one book to another." Day One Minilesson: Exposes students to the thinking needed to apply the umbrella minilesson to their own reading. 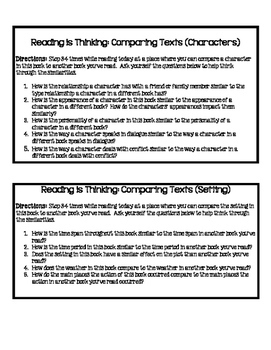 Included is a "Reading is Thinking" prompting card with focus questions for students to think through while they're reading. A "Thinking Debrief" card is also included with focus questions for students to discuss in partners or in a small group to summarize the thinking they did as readers for the day. Day Two Minilesson: Asks students to take the umbrella minilesson a step further by having them use a graphic organizer to collect textual evidence and record their thoughts on paper. Day Three Minilesson: Students take the thinking and organization that they've done from day one and day two and now write a reading response on an Exit Slip based on the umbrella minilesson. The Exit Slip is included as formative assessment to use during the application portion of the minilesson. Writing is the quickest way we can get behind students' thinking. Students' responses on the Exit Slip will give you clear, concrete answers to which students are mastering the minilesson concept and who needs further instruction. 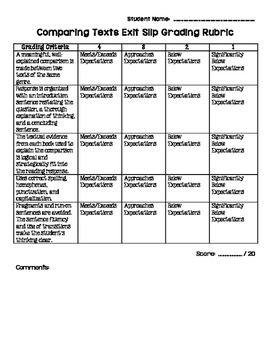 -A rubric to grade the Exit Slip is included. The rubric looks at five different categories (content, organization, textual evidence, conventions, and sentence fluency). A differentiated instruction planning sheet is also included to help you make next step teaching decisions based on what you learn about your students from grading the Exit Slips. -An Exit Slip with a model response is included as an example for the teacher to look at and/or share with students as a mentor response. -A picture of the anchor chart used to reinforce the minilesson concept is included. 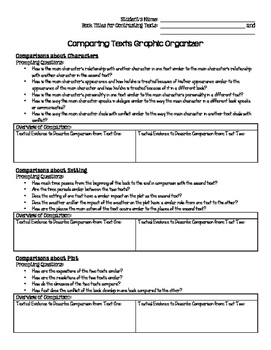 Pictures of a graded rubric and completed differentiated re-teaching plan sheet are also included. -Each minilesson is fully scripted and takes students through the different phases of gradual release (modeling, have-a-go, application, share). The modeling that is used in the sample texts included is from the books The Tiger Rising by Kate DiCamillo and Out of My Mind by Sharon Draper. The classroom teacher purchasing the product can easily adjust the modeling to align with a shared class novel or interactive read aloud familiar to all students in the class. Feel confident in teaching your students minilessons that can be applied to ANY fiction book, and enjoy the accompanying formative assessment and grading rubric. Everything you need in one perfect, little package. Get a close up look at what my Reading Workshop: Teach, Assign, Assess products include by watching this YouTube video. Looking for more Reading Workshop minilessons to teach the Common Core State Standards? Click on any of the three day minilesson sequences below to teach your students how to think, talk, and write about a variety of important reading strategies and skills. Reading Workshop minilessons to teach how to make meaningful contrasts between two texts. Reading Workshop minilessons to teach how to critique the point of view. Reading Workshop minilessons to teach how to analyze the author's word choice used to show vivid imagery of characters and setting. Reading Workshop minilessons to teach how to identify and analyze figurative language. Reading Workshop minilessons to teach how to analyze the importance of what characters say in dialogue. Reading Workshop minilessons to teach how to write an objective summary. Reading Workshop minilessons to teach how to make inferences about characters. Reading Workshop minilessons to teach how to identify and analyze elements of a complex plot. Reading Workshop minilessons to teach how to make predictions using textual evidence.